This 14 1/2 inch HORSE CONCH is the find of a lifetime! Sean and Danita found it in the water off West Gulf Drive Tuesday morning… their wedding day. Sean said they both were in the water shelling when he felt something at his feet. He kept digging until the shell dislodged from the sand. It was this empty HORSE CONCH! They already felt like they had “the find of a lifetime” when they found each other 8 years ago but had to delay the wedding. Unfortunately from an injury in Iraq serving our country, Sean had to undergo 7 years of recovery which delayed the wedding day. With the beautiful backdrop of a Sanibel sunset Tuesday evening, Sean and Danita were married on the beach in front of their hotel The Blue Dolphin Cottages… right where they found their 14 1/2 HORSE CONCH (yes, I had to repeat the length- its huge!). It looks like Mother Nature offered her best gift of the sea to this happy couple for their love and perseverance. So in keeping with Shelling Olympic Medals I’ve given through the summer games in London, I’d like to award my final SAND DOLLAR Shelling Olympic Medal for 2012. This would be the highest of all the i Love Shelling Olympic Medals. Sean and Danita from Ormond Beach, Florida! It was such an honor to meet both of you especially on such an unforgettable day and I want thank you both for your service to our country. Congratulations on your new found treasure and Best Wishes to a long healthy life together!! NextSanibel and the Rambos in The New York Times! I think this is the best story I have heard. Congratulations to the happy couple on their wedding and on the beautiful shell. Awww, Pam…such a nice lady you are. Thanks for sharing this wonderful story. And best wishes to the happy couple! Congratulations to Sean & Danita. May your blessings be endless grains of sand…and may you both always have sand between your toes and a shell in your pocket….althought this find was much too big to fit in your pocket! And Pam…congratulations to you and Clark on your New York Times article. You are now officially an international and global “shellebrity”! Fantastic! Congrats to them both, on their marriage and on finding that huge, gorgeous shell. I hope they have many happy years together, including a lifetime of happy shell hunting!!! sorry…typo on the Ipad….it should say to the lucky couple….May your blessings be countless LIKE grains of sand…. (sorry for leaving out the LIKE part…sounds strange without it)…. Double CONGRATS Sean & danita !!!! Beautiful couple , beautiful story & beautiful shell ! Thanks Dolph for making great memories for this truley blessed couple ! Thanks for bringing us this great story. Congratulations, Sean and Danita — on the find and on your wedding. And thanks, Sean for your service. Please know that there are many families like mine who respect and admire your dedication and willingness to stand in harm’s way on our behalf. May you both be rewarded with a lifetime of love, joy, and good health together. Congratulations Sean and Danita on your wedding and awesome shell find. Sean & Danita, congratulations to you both and I wish you many, many more years of happiness together. Sean, a big “thank you” to you for your service to the USA. Almost forgot – congratulations on finding that beautiful horse conch shell. How sweet. The day was made special by a wedding gift from the sea. I love shelling on Sanibel and my prize find was a Junonia in 1978 below Blind Pass on Captiva..
What a great story Pam. I got goosebumps when I read it. Thank you very much for your service (both of you), it takes a special kind of person to offer themselves to such great risk for the protection of our freedom! That is such a neat story – thanks for sharing. And wow congrats on the shell and the marriage. May they shell happily ever after. Looked for the Times article…so good. Perfect for the two of you. I have needed my Sanibel fix after my island buddy, my Mom, 94, had a stroke in June. I show her the beach photos…her fav…while I shell. What a wonderful gift for the happy couple! That is one, big, honkin’ Horse Conch, I must say. And like you said Pam, their perseverence paid off. Congratulations to them. May they have many happy years together and every time they see their special “gift” from the sea they will remember their wedding day! What an awesome story…..Thanks so much for sharing. Pam…. that made my day! Yes, a very inspiring story! Pam, This story is my favorite so far. It is amazing how you find just the right people and their stories to share on your site. Please don’t stop. AND TO Sean and Danita…Congrats and THANK YOU for your service Sean. I was fortunate to meet Sean and Danita (and see that ginormous horse conch!) Hopefully, Pam they will see your beautiful story. Thanks again to Sean for his years of service and sacrifice for our country; and to Danita in supporting him through his service and recovery. Many happy years to the newlyweds! Great story! Great shell! and GREAT COUPLE! Congrats to the newlyweds! And, yea Pam for being able to get the great photos! What a beautiful story. Thanks to Sean for your service to our country. This find couldn’t have happened for a nicer couple. Best Wish to both of you. Very moving story Pam, thanks. WOW!!!! What an AWESOME shell! What a wedding gift from the sea that is! Congratulations to the happy couple! Enjoy! What a beautiful love story! Congratulations on your marriage to Sean and Danita! Thank you for your service Sean, it is much appreciated. Thank you, Pam for this story and the many you bring us. My love for the ocean and it’s gifts are important to me and you’ve shown me so much more than I could have imagined. My vacation starts 4 weeks from tomorrow and I have a feeling it will be where I get married also…next year. What an incredible story! I read it aloud so that my hubby and I could both enjoy it….and ooohhhh and ahhhh! I am so happy to hear about these lovely couple and wish them the very best! What a great start to their married life! Stephen and I love this story, obviously their union has been blessed by mother nature. Best wishes Sean and Danita! I am so very happy for this lovely couple. What better way to begin a shelling wedding than a humongeous horse conch. Things can only get better from here. CONGRATULATIONS!!! Beautiful story and leave it to you Pam to put a clever and very touching twist to it. Love the medal of honor! Perfect! Congratulations to the happy couple. Congrats to you both! What a wonderful gift from the sea on such a special day…a day you will never forget….much happiness to you both! Congrats to Sean and Danita on your wedding wishing you a lifetime of happiness. OMG that shell!! What a wonderful find. Back in May when we were on Sanibel I too found a horse conch on West Gulf beach past Mitchells Sandcastles.That my favorite beach for shells. Can’t wait till Sept to get back there. To Sean and Danita – Congratulations to you both! I wish you a lifetime of happiness. The sea has a way of touching our lives and you have been given a wonderful gift. I’m sure you will treasure it always. The inner strength you both have will get you through whatever life brings. I hope you make it back to Sanibel often. To Pam – thank you again for connecting us with wonderful people and great stories. That just makes me SMILE! Congratulations! thanks Sean and great story Pam !!! Lifetime of happiness wished for this couple, how wonderful ….and they deserve the award and more !!!! Hello! You are living my dream, and I have so many questions I would love to ask you. First, what do you do with all your treasures (and I too have always thought of anything that washes up from the sea is a treasure/gift from the mother earth)?? I have tried to keep my collections separated by the beach I found them at, but then it seems they stay hidden in baggies. I will ask only one other and related subquestions: do you shell in the water? I have only ever really looked on the sand, and the one time I went to Sanibel I didn’t see that many below the water line so I didn’t bother looking much. Thank you for your wonderful site, I could spend hours here, and I am pea green I can’t live down there! Incredibly wonderful story. My wife and I will be there tomorrow and were wondering where the best place for us to shell might be. Would it be best to be at the lighthouse at low tide or one of the other beaches. We are extremely excited to be going down there. We will be staying at the Caribe Beach Resort. Are there any beaches close to this that we should search? Can’t wait to be there. 18 hours and counting. What an awesome story. An amazing way to start a marriage. Congratulations to you both! Brent, as Pam will tell you, every day is different when shelling. We all have our own preferences, but a good rule of thumb is to look at whch way the wind is blowing on the day before or night before you go shelling. If the winds are from the east then head towards the lighthouse. If they are from the west, then anything from Tarpon Bay Road to Captiva. Just look at the wind direction and the map of Sanibel. The wind blows toward the beach you want to go to. Anything after that is just preference. Enjoy your treasure hunt. Great tip, gonna use this for my trip this winter!! I know where your staying so when your on the beach head towards the west away from the condos and more towards the homes. Most of the people who own the homes are not there this time of year. So the shells aren’t picked thru as much as they are by the condos which are rented out weekly. I’ve always found my bigger shells down on the beaches of west gulf dr.
Hope you and your wife have a great time! Ah, the Ipad strikes again…should’ve figured as much. No biggie…just doing crazy research to come down and visit Sanibel in a few months…CANNOT WAIT!!! Great story! As my sister might say congratshellations! May you two have a long and healthy life together. Thank you all for the lovely comments and well wishes. We really enjoyed our time at Sanibel. And the beautiful shell…..was a blessing from the sea. We will have a special place for it and it will forever remind us of the day we got married by the sea. Awwww, a fantastic story, congrats on both! How wonderful on both fronts. The wedding and your gift from the sea. Not to mention your shelling medal of honor. Wishing you many years of happiness Sean & Danita. 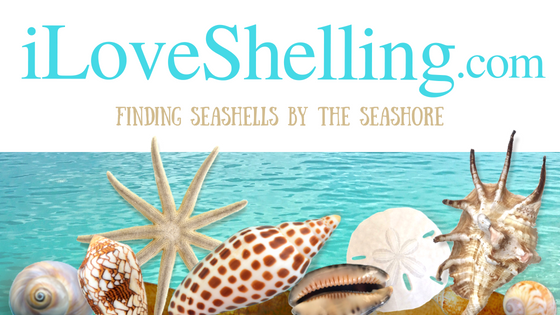 Another inspiring I love Shelling tale.